Automation of work is not a new phenomenon. For businesses, technological development has an impact how enterprises organize work and production processes. Mechanical power has replaced some human workforces to eliminate unsafe work processes. New information and communication technologies have thus raised important questions as to what types of work can be replaced by technology and which require human decision-making and social and creative intelligence. 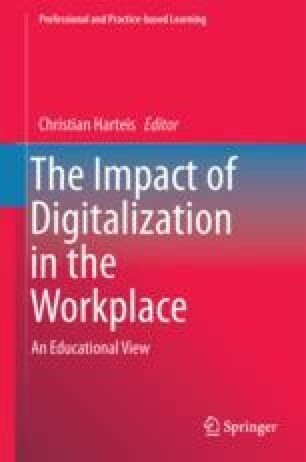 This chapter discusses general developments in the automation of work and reflects on forecasts that have been made regarding changes in the labor market. Rudner, L.M. (2009). Scoring and classifying examinees using measurement decision theory. Practical Assessment, Research & Evaluation, 14(8). Retrieved from http://pareonline.net/getvn.asp?v=14&n=8.